A sustainable agriculture project in Kenya reached a milestone last week by becoming the first of its kind to earn carbon credits under the Verified Carbon Standard. Not only did the methodology used store carbon but results also showed an increase in crop yields signifying sustainable agricultural practices makes smart business sense. NAIROBI | 21 January 2014 | The Kenya Agricultural Carbon Project (KACP) last week became the first organization to earn carbon credits under the Verified Carbon Standard (VCS) for locking carbon in soil. The credits represent a reduction of 24,788 metric tons of carbon dioxide, which is equivalent to emissions from 5,164 vehicles in a year. These are the first credits worldwide issued under the sustainable agricultural land management (SALM) carbon accounting methodology. The program, which Ecosystem Marketplace profiled in 2011, works by promoting sustainable or “climate-safe” agriculture that has also proven to increase yields in some cases. The KACP involves 60,000 farmers on 45,000 hectares. Results so far show that SALM can help increase farmers’ yields by up to 15-20%, the World Bank says. These productivity gains come from greater soil fertility and help counteract the effects of increasingly extreme weather conditions. 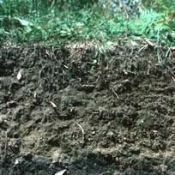 By sequestering more carbon in the soil, SALM also helps mitigate climate change. KACP forms an important part of the World Bank’s efforts to extend climate finance to incentivize better land management. The Swedish NGO Vi Agroforestry is responsible for implementation in Kenya, supported by the World Bank’s BioCarbon Fund and its participants – the French Development Agency and the Syngenta Foundation for Sustainable Agriculture. The Fund will purchase a part of the carbon credits generated by the project by 2017, estimated at $600,000. The BioCarbon Fund’s SALM methodology received VCS approval in December 2011. The methodology spells out how carbon sequestration in soils are measured and engages farmers themselves in the monitoring process; for the first time they are measuring the impact of their agricultural practices on crop yields.